Literal translations, we don't like. Translation is a service we take seriously. The translator is given the trust of conveying the meanings intended by the original author and can be a daunting task. We believe that if you can tell you're reading a translation, the translator has let the author down, as well as you, the reader. Thankfully, we have some experience in translation having gained a Masters in French and Spanish which involved a significant amount of translation both from and into English. 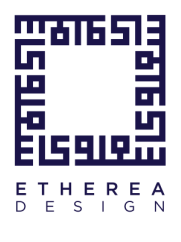 For the last few years, our efforts have been focused on Arabic and we would love to hear from you about any Arabic works you'd like to see in English.